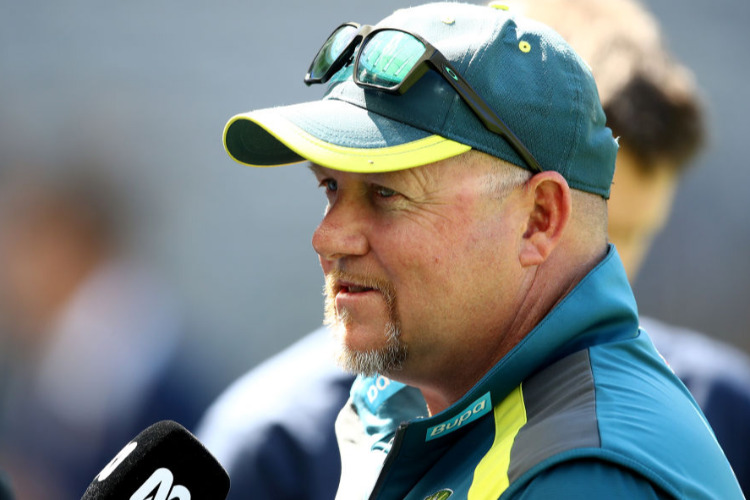 Australia's bowling coach David Saker has stepped down ahead of the World Cup and Ashes in England. Justin Langer will have a new right-hand man at the World Cup and Ashes following the sudden exit of Australia's bowling coach David Saker. Saker has resigned, effective immediately. Troy Cooley will serve as bowing coach on upcoming limited-overs tours of India and the UAE, but Cricket Australia is yet to make a call on Saker's full-time replacement. "We shook hands and had a hug a day after the Test (in Canberra)," Langer said. Saker had previously spoken of his desire to be a potential successor to Darren Lehmann in 2017, when he filled in as head coach during a ODI tour of India. It's unclear how much Saker's relationship with his charges deteriorated this summer, if at all, but Mitchell Starc notably had credited NSW's bowling coach Andre Adams for helping to end his form slump. Australia's fast bowlers had plenty of knockers during their Test series against India, while Saker was publicly critical of their approach at the SCG. Saker revealed during that match that "aggressive" and "animated" discussions took place behind closed doors.